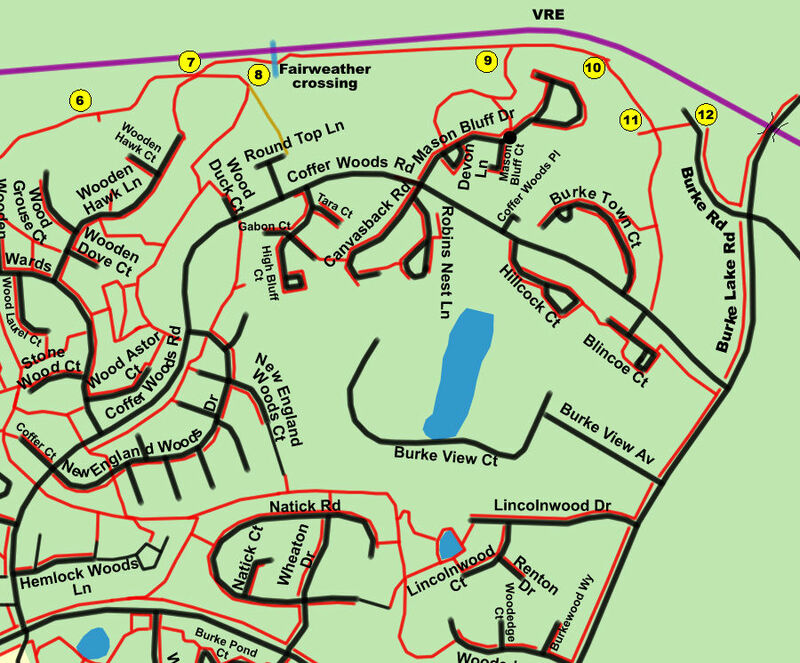 This trail ties many developments in northern Burke Centre together and provides walking/ biking access to the VRE station and farmers marker to the west and to the shopping centers along Burke Lake Road to the east. Future plans call for expansion to the east along the Pohick Creek from Burke Lake Road. Click here for a Google Map showing the Burke VRE Station location. 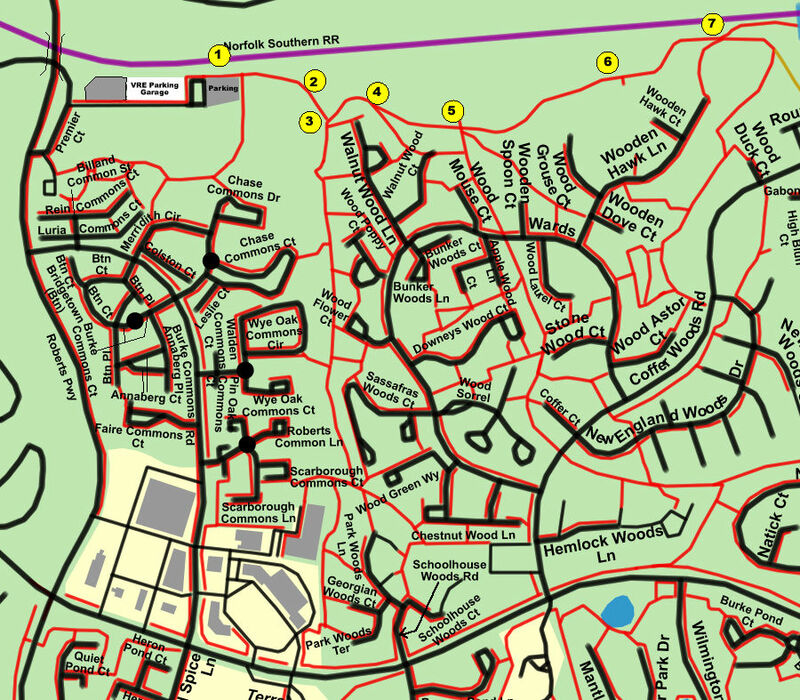 Use this map to obtain driving directions to the start of this walk.